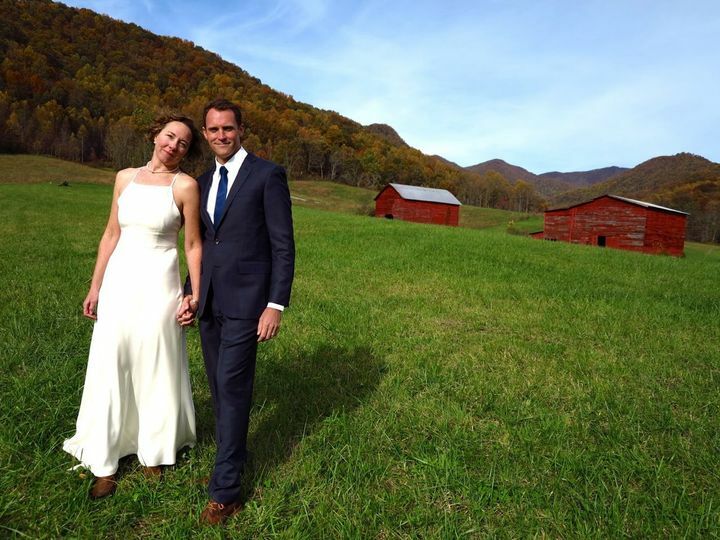 Ivy Creek Family Farm is a Barnardsville, North Carolina-based wedding venue. 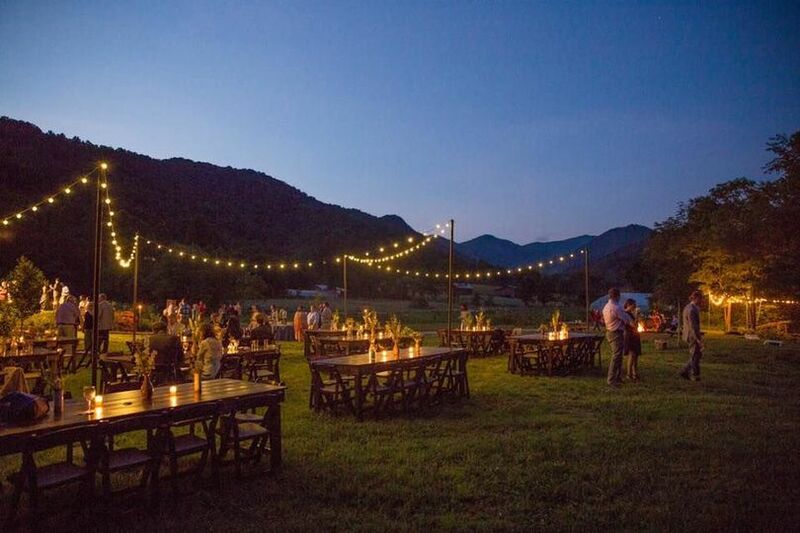 This working farm is perfect for couples seeking a natural and outdoor setting including modern amenities to make the event comfortable for all guests. 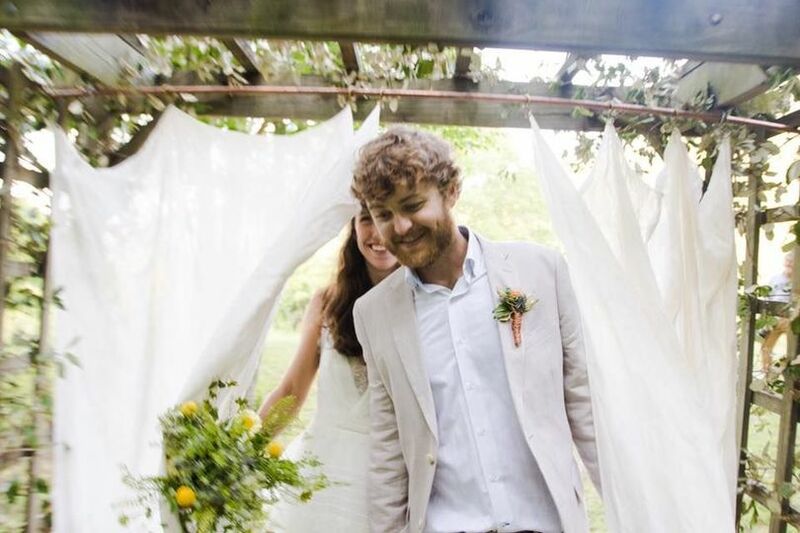 For an extra connection to the venue, couples and caterers are welcome to purchase produce and flowers from the farm. Your friends and family will fall in love with the history and scenic views of Ivy Creek Family Farm. 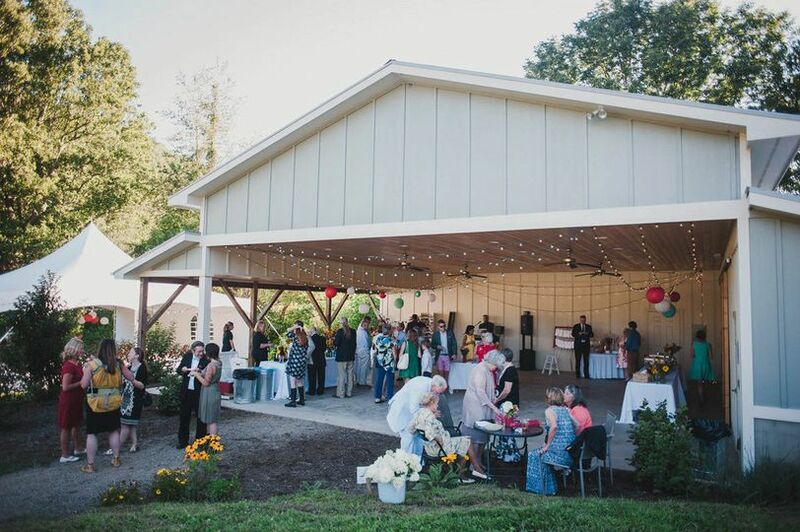 At this venue, couples can comfortably host events with 20 guests to 150 guests. The 1,600-square-foot pavilion is covered and features a kitchen, two bathrooms, two bedrooms/dressing rooms and a shower. Outside, there is a field, camping field, fire pit and stream for photography opportunities and mingling. 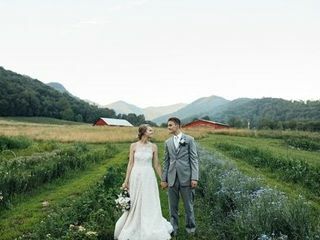 Ceremony locations include the field next to the creek or on a hill with farm and mountain views. And do it yourself weddings for all budgets. Couples may purchase vegetables from the farm for their meals. When requested, Ivy Creek staff helps couples select and coordinate with a caterer that matches their preferences and their budgets. Asheville's fantastic food scene offers many exciting and delicious options for catering. 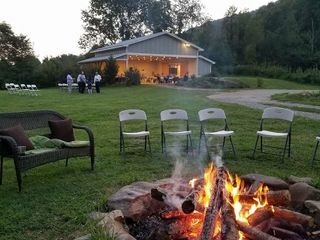 For parties with more than 50 people, Ivy Creek Family Farm suggests hiring a full-service caterer and full staff. Rental of the Ivy Creek Pavilion includes overnight lodging in two bedrooms, each with double beds. Up to 20 guests may also enjoy the camping sites at Ivy Creek. These camping sites are located near the pavilion. To get ready for your celebration, you can use the on-site bridal suite. There is also parking, shuttles and wheelchair access for your guests. The on-site parking accommodates 150 guests or fewer. 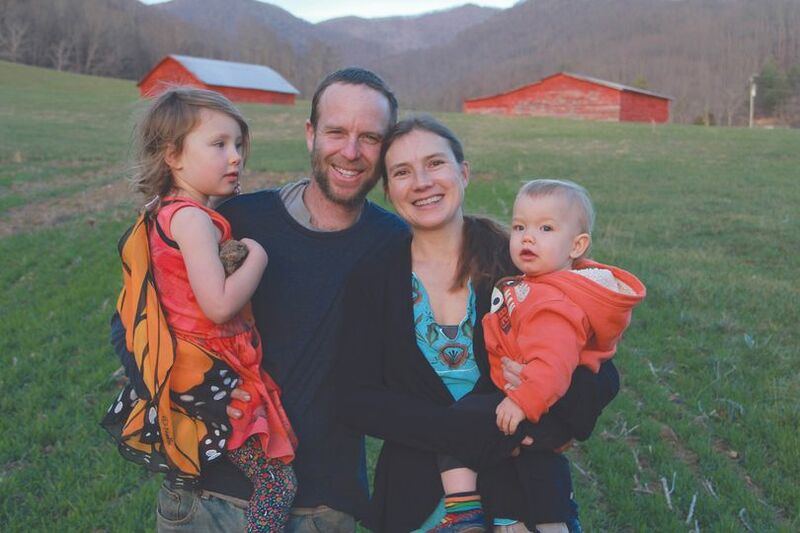 The farm is owned and operated by Anna and Paul Littman. Since 2006, they have grown produce and provided fresh food to the local area. 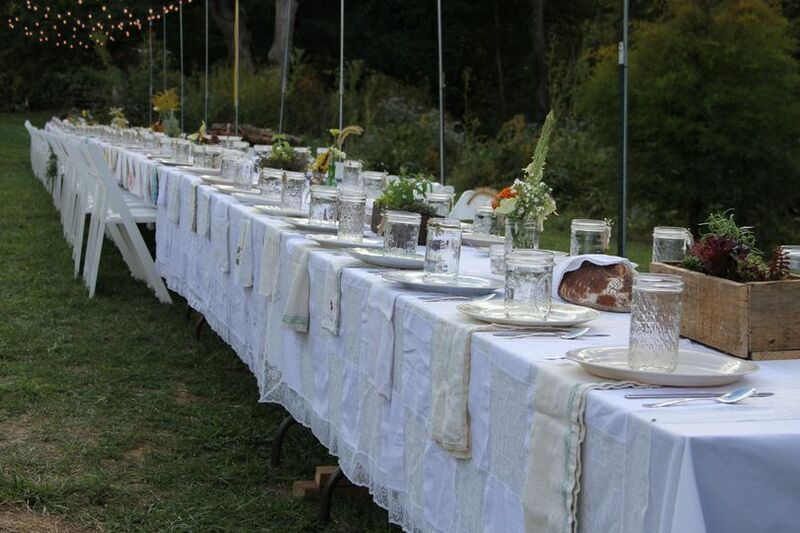 For hundreds of years, families gathered at the each year to celebrate, have a feast and help couples meet. This started a tradition of creating unions. Today, couples who say “I do” at the venue contribute to this rich history of unions. 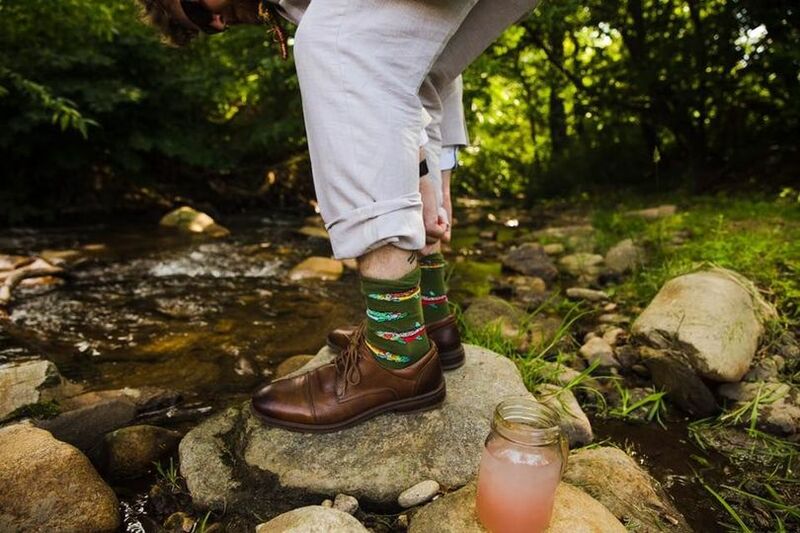 Located just outside of Pisgah National Forest, the farm is nestled along the Ivy River. It is 25 minutes north of Asheville, 54 minutes from Johnson City and 125 minutes from Knoxville. Asheville Regional Airport is 38 minutes away Charlotte Douglas International Airport is two hours and 14 minutes away. 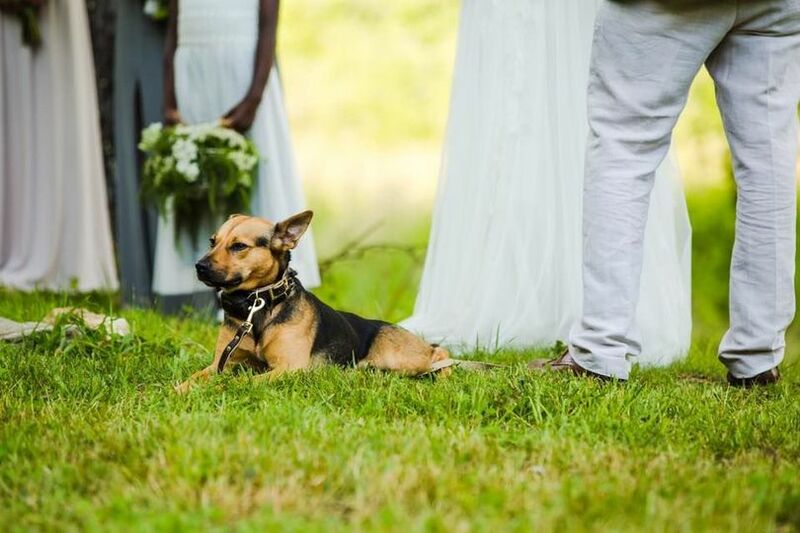 We loved Ivy Creek Family Farm for our wedding! It is a truly beautiful place, and they are so accommodating and helpful. The staff truly went above and beyond for us on our special day. This is the perfect venue if you love the outdoors and the ability to bring your friends and family together in a magical setting- we would book this venue over and over again if we could. We couldn't have picked a better location to share our love and our celebration with our friends and family. 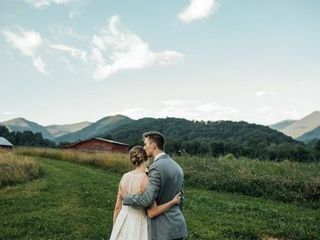 We travelled back to NC all the way from Montana to find the right location for our special day. The fall colors were amazing in October and our guest enjoyed hiking around the Blue Ridge Mountains and visiting the Asheville Farmer's Market as part of the weekend festivities. 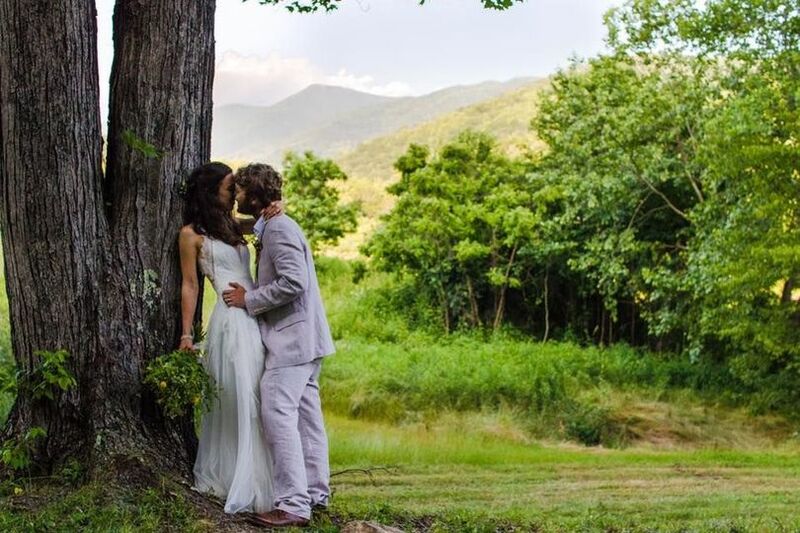 The venue was perfect and all of our needs were met, but the most memorable thing about the weekend was the incredible natural setting by the creek and snuggled up against the mountains. Not only will it be a great experience for you as the bride and groom, it will give your guests a memorable weekend they wont' forget. We are so glad we chose Ivy Creek for our wedding reception at the end of June. We absolutely loved our time there, and Anna & her husband were so helpful in making sure that everything was ready for us! They were able to honor our requests for how we wanted things to be laid out, and were kind and helpful throughout the entire process. The view is absolutely amazing, as well as the grounds of the entire farm. 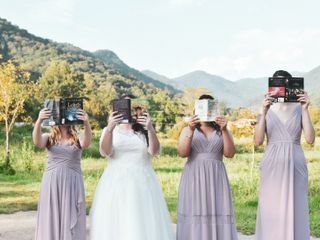 The mountains made a wonderful background for our photos. The atmosphere is so peaceful and relaxing, and created a great space for our friends and family to celebrate. Also, this is a wedding venue but more importantly a working farm. Supporting a local business is extremely important and a great way to use a wedding as an opportunity to give back. We highly recommend Ivy Creek Family Farm!